80 Glastonbury HVAC System | Controlled Air Inc. The building is a 60,000 Sq ft brick three story office building constructed in 1988. 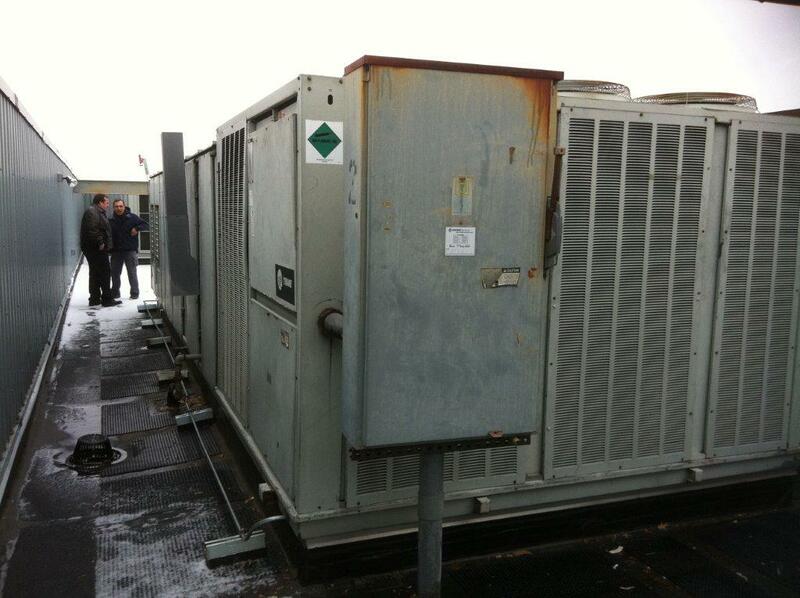 The original HVAC system consisted of two original Trane natural gas heat, DX Cooling, 75 Ton RTU’s. The air was distributed via fan powered electric reheat VAV boxes. 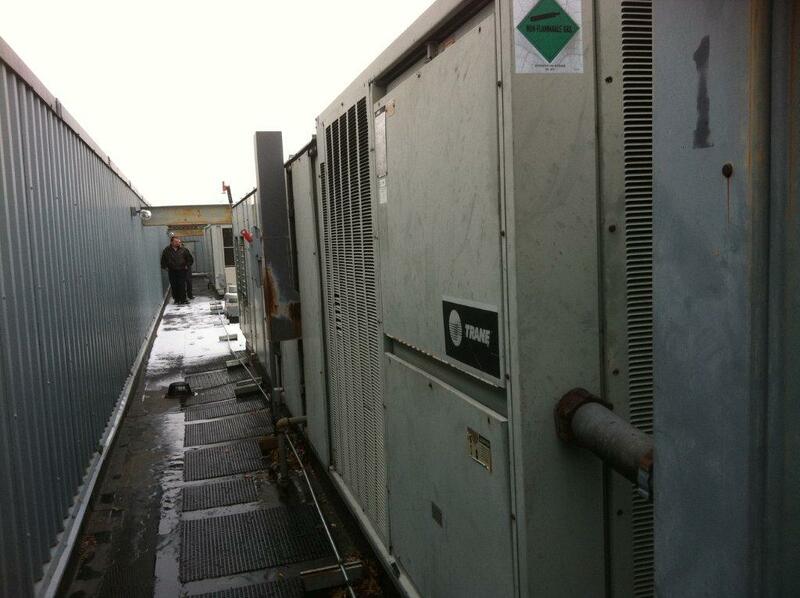 The original HVAC units were two 75 ton 8.26 EER Trane RTU’s. 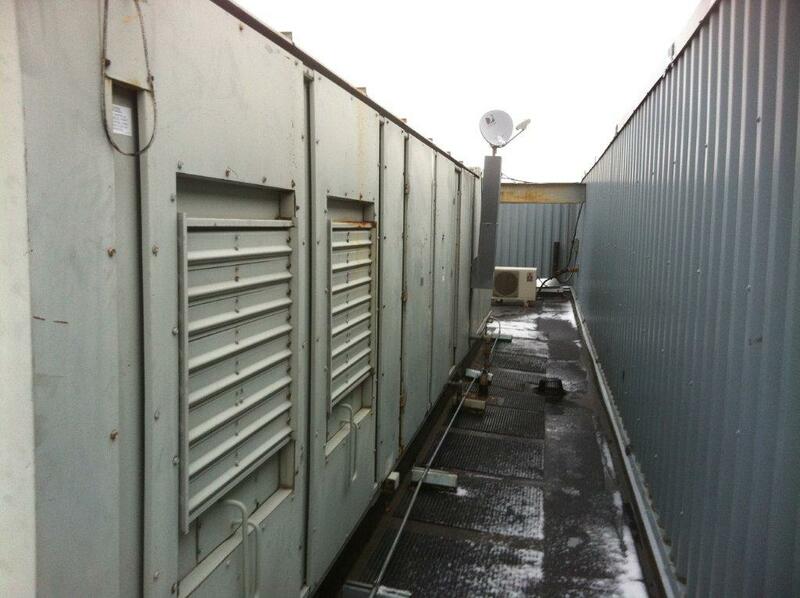 They had inlet vane supply fan static control (The fan runs at full speed) with two large compressors, and single set point ventilation outdoor air intake. The controls system had limited independent scheduling and temperature control. The Trane system was an older relatively simple system.The system did not control the RTU economizer, O/A minimum position, and did not schedule the unit and fan into an unoccupied mode. The discharge air is a constant discharge air setpoint.The VAV controls also maintained the same set point without seasonal compensation. The new EMS system is a Johnson Controls VAV application. It is a fully networked, web-based system. The new EMS system schedules the existing two building exhaust fans. The static control supply fan VFDs and 60 VAVs. The ventilation outdoor air intake dampers along with the VAV positions modulate to a CO setpoint referencing wall mounted CO sensors located in the building to minimize energy usage. All points, scheduling, set points and control logic are accessible both remotely and locally From a PC in a graphic format. We used Carrier’s Hourly Analysis Program (HAP) to provide energy calculations and comparisons. The estimated annual operating cost savings for this installation to be $158,266.00.